Dragon Warrior VII (video game, 2000). A role-playing video game by Enix,. Directed by Manabu Yamana. Official Trailer. Dragon Warrior VII is a role-playing video game directed by Manabu Yamana. 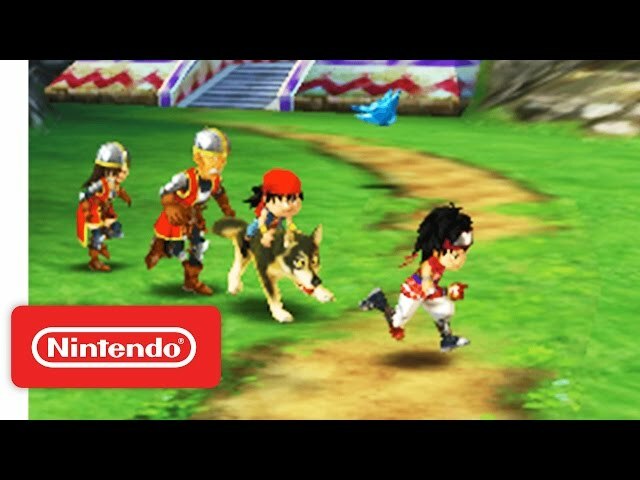 Dragon Quest VII: Fragments of the Forgotten Past - Accolades Trailer. Dragon Quest VII is best known for its huge size. Without completing the game's side quests, a single game of Dragon Quest VII can take a hundred hours or more. In terms of gameplay, not much has changed from previous installments; battles are still fought in a turn-based mode from a first person perspective. Although non-battle sequences are rendered in 3D, battles themselves are still portrayed two dimensionally. The ability to talk with the party characters in and outside of battles was added to this game. They offer advice about battle strategies and plot points, or simply comment on how they feel at a given moment. There are four ways and means of locomotion: feet, boat, magic carpet, and skystone. Each of these can move across different terrain. 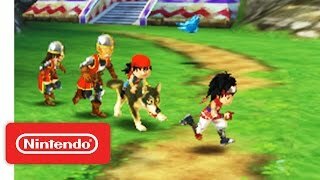 Dragon Warrior VII was scheduled to be released by Enix, on August 26, 2000 (JP: PlayStation), on October 31, 2001 (NA: PlayStation), on February 7, 2013 (JP: Nintendo 3DS), on September 17, 2015 (JP: iOS, Android), on September 16, 2016 (EU: Nintendo 3DS) and on September 17, 2016 (AUS: Nintendo 3DS). This video game is available for the following platforms: Android, PlayStation and iOS. Dragon Warrior VII got high rating from critics. The users also like the game.